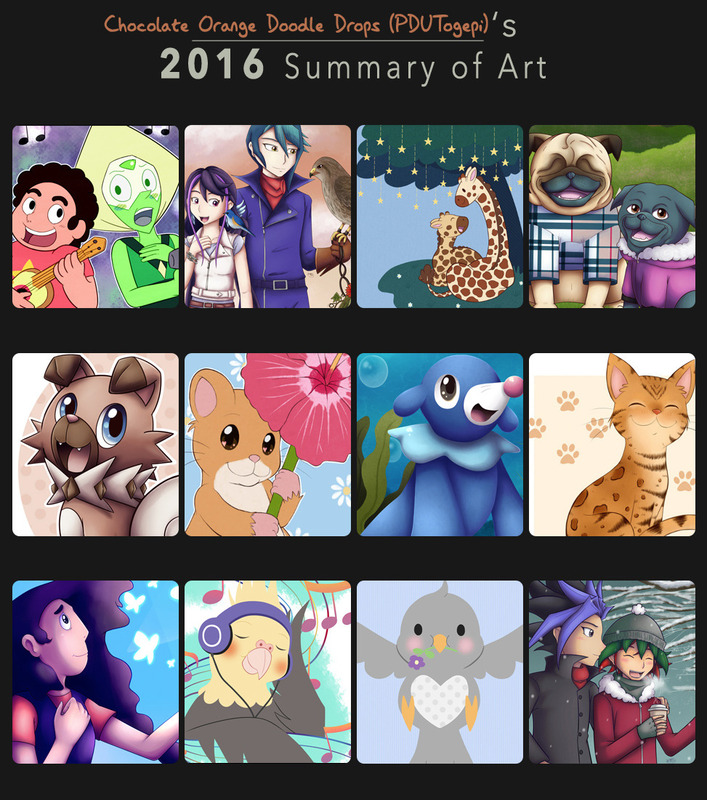 I’ve been trying to focus on more positive things, so I decided to do an art summary for this years artworks that I’ve done. I decided not to do them by month, as there were some months I did more than one picture and some months were I did nothing that substantial, especially in these latter months for the reasons listed above. Despite how difficult this year was for many reasons, I’m glad that art-wise for me it’s been a rather good year! Out of these 12 pictures, there is an equal split between fanart and original art. I also practised with a few different styles, including lineless artwork which was something I wanted to work on. Two of these artworks (the giraffes and the dove) were drawn for my friends little boy who was born this year. The pictures were for his birth and his christening! I want to be able to give him something unique that he can look back on when he’s older, so I really want to keep drawing for him. I need to decide what to draw him for his first birthday in March! I want to spoil him a little with original artwork that is all his. The pug picture was my first ever commission which I took on for a colleague at work. She wished for me to draw her three pugs and I’m really pleased with how the picture came out overall and I’m really glad she liked it too, she even had it framed! I actually got to meet these pugs and their new baby sister, a little pug puppy named Lexi, later in the year and I absolutely loved it and they absolutely loved me! They were all over me, it was great! Here’s hoping 2017 is a lot better for us all. And if not, well, I’ll just keep carrying on drawing cute pictures anyway.